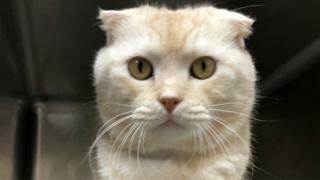 A man has been fined in Taiwan for sending a cat that he no longer wanted via an express postal service, it’s reported. According to the UDN news website, a 33-year-old man surnamed Yang was fined NT$60,000 ($1,952; £1,522) this week, for violating the Taiwan Animal Protection Act, after he posted a Scottish fold cat in a sealed cardboard box to a local animal shelter in Banciao District. He was also fined an additional NT$30,000 for violating the Statute for the Prevention and Control of Infectious Animal Diseases, because staff at the centre found that the cat had not been vaccinated for rabies. Director of the animal authority, Chen Yuan-chuan, condemned the incident, saying: "An animal can suffocate in an insufficiently ventilated container, has no access to clean water and can become distressed." He urged people to follow the correct, legal channels, in the event that they have decided they can no longer care for their pet: through the official office or an authorised shelter, either of which can ensure animals are properly chipped, neutered or vaccinated.